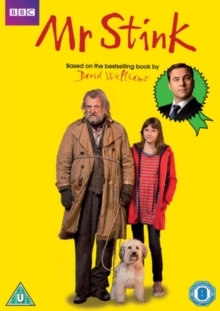 Double bill of films based on the children's books by David Walliams. 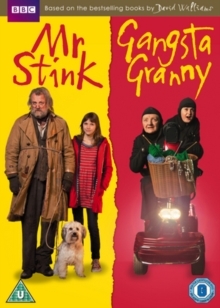 In 'Mr Stink' (2012), Hugh Bonneville stars as the eponymous tramp who reunites a young girl's family in this TV adaptation of David Walliams' comic festive tale. After discovering Mr Stink and his dog Duchess in a nearby park, friendless 12-year-old Chloe (Nell Tiger Free) invites him to stay in her family's garden shed. Initially horrified by the sight and smell of their new 'guest', Chloe's dysfunctional mum (Sheridan Smith) and dad (Johnny Vegas) finally relent. As news of his arrival does the rounds and his celebrity spreads, Mr Stink finds himself embarking on a journey that takes him to 10 Downing Street, before finally bringing Chloe's family together again in time for Christmas. In 'Gangsta Granny' (2013), Ben (Reece Buttery) dreads staying at his gran (Julia McKenzie)'s house when his mum and dad drop him off, expecting the usual boring games of scrabble and knitting. 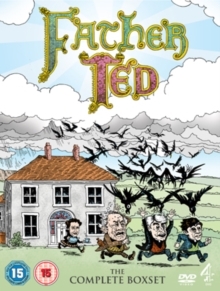 But on his latest visit, his gran reveals a fascinating secret - that she was once a renowned jewel thief known as the 'Black Cat' - and shatters Ben's image of his boring old relative. Together they set out on a whirlwind adventure to pull off the one robbery that always eluded her, breaking into the Tower of London and stealing the crown jewels.